e.g. After I had been able to buy a car, traveling to work was no longer an issue. Of course, English speakers are likely to make contractions: I'd been able to, etc. Je n'avais jamais pu parler correctement avant. I had never been able to speak properly before. Tu avais pu leur dire au revoir avant qu'ils ne partent. You had been able to say goodbye to them before they left. Il n'avait jamais pu lui avouer la vérité. He had never been able to tell her the truth. Si nous avions pu, nous n'aurions jamais commencé. If we had been able to, we would have never started. If we could have, we would have never started. Vous aviez pu le voir une dernière fois. You had been able to see him one last time. Ils n'avaient jamais pu l'admettre. They had never been able to admit it. Can you use eut/fut instead of avait, is that wrong? I know it's only gonna be right for literary writing and storytelling, but still. You can do that instead of the pluperfect in writing, right? No. eut/fut are passé simple and need to be used accordingly. Passé simple is not a replacement for past perfect tense. CrystalMaiden is talking about the past anterior which is the literary equivalent of the pluperfect. It's formed using the passé simple of avoir or être. Inclusion of "lui" in answer. I am puzzled by the inclusion of "lui" in this question. The question was "You had been able to say goodbye. A possible translation is "Tu avais pu dire au revoir"
I am not sure what your question is. Maybe it's this? Tu avais pu lui dire au revoir. -- You had been able to say goodbye to him. 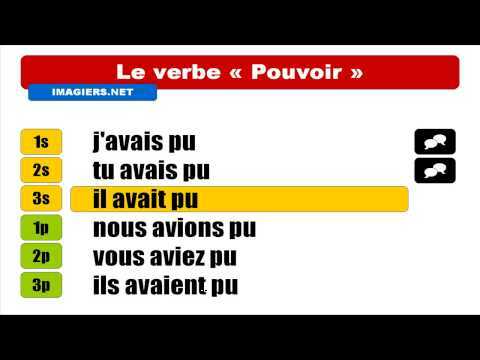 In the lesson , I think it is, "Tu avais pu leur dire au revoir....". It is just , "You were able to say goodbye to them..." rather than just to say goodbye as you suggest. Just a bit more precise.